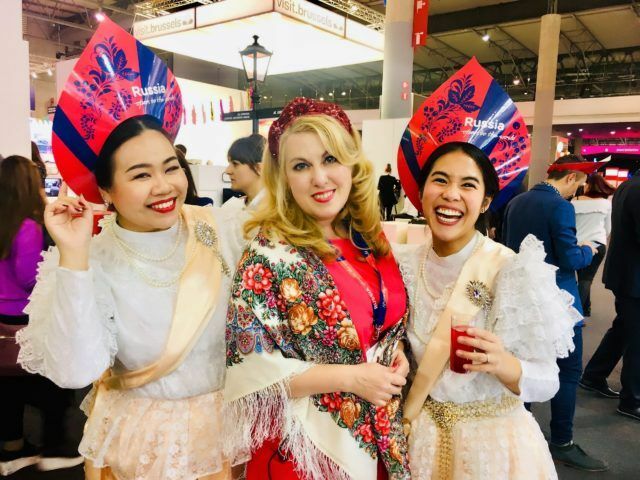 From 27 to 29 November 2018 in Barcelona (Spain) in the Fira Gran Via complex held a key event in the field of meetings industry – world exhibition IBTM World-2018, in which Russia took part for the second time in the collective stand RUSSIA OPEN TO THE WORLD. Russian exposition was organized by the Russian Convention Bureau with informational support of Roscongress Foundation. The Adviser to the President of the Russian Federation, Anton Kobyakov commented that from the point of view of organization and holding of international events, Russia has confidently occupied its niche in the global event space. This shows both the results of events already held in the country over the past 5 years and the results of Russia’s participation in international projects abroad, he added. The national exposition of Russia has justly presented the eventful possibilities of the regions at IBTM World 2018 in Barcelona with dignity, forming a solid platform for further dialogue between the economies of Russia and the West, he concluded. 16 companies performed under the single brand RUSSIA OPEN TO THE WORLDon the joint exhibit organized by the Russian Convention Bureau representing the professional market of the Republic of Tatarstan, Kaliningrad Region, Sverdlovsk Region, Krasnodar Krai, Moscow, St. Petersburg and Leningrad Region. Among the co-exhibitors are active participants of previous international exhibitions, as well as new companies. For the first time, the year-round mountain resort “Rosa Khutor”, Committee of Tourism Development of Kazan, Ritz Carlton Moscow, “SPB city Group” company, the information and tourist center of the Leningrad region presented their opportunities. The Director of the National Congress Bureau Alexey Kalachev commented that this year they were presented with a large collective stand, increasing the number of co-exhibitors and changing the very approach to organizing the exhibition. A distinctive feature of the Russian stand was the presentation of not individual participating companies, but a set of event opportunities in the sphere of a particular region, which allowed to open Russia as a reliable and confident participant in the global meeting industry. Foreign guests were offered speeches by representatives of the regions of Russia and the Russian Convention Bureau: for three days 33 presentations of event opportunities of the largest cities of the country – Moscow, St. Petersburg, Sochi, Kazan, Kaliningrad, and Yekaterinburg were held at the stand. Russian companies held 670 business meetings, providing extensive opportunities for foreign partners to promote in the regions of the Russian Federation. Of these, more than 40 meetings with target market participants were held by the Russian Convention Bureau, demonstrating to foreign organizers the infrastructure diversity and maximum readiness of Russia to hold events of any level. The stand attracted wide attention not only from international buyers but also from leading European trade publications. The Russian Convention Bureau held meetings with the heads of major publishers such as Cat Publications, Mash Media, Meeting Media Group, Trade Fairs International, that showed great interest in Russian participation and were happy to share the opportunities of Russian regions with their readers. As part of the business program, an educational seminar on how to attract international events was held for co-exhibitors. The host of the event Larisa Tasevskaya (Managing Director and partner of the Arena Destination Marketing in New York) spoke about the opportunities in the region for holding large international events, the trends of the industry and the secrets of events at a high level. During the three days of IBTM World, more than 2,500 specialists from the international meeting industry visited the national exposition of Russia. The participants of the national stand, representing their regions for the first time, were satisfied with the results and noted a non-trivial approach to the organization of the stand – representation of Russia through regional expositions. According to them, it allowed to present regional opportunities and “almost win-win” to place potential partners to further cooperation. The Russian Convention Bureau thanks the participants of the Russian exposition for their well-coordinated and efficient work and their foreign partners and buyers for their trust and interest.